Tony L. Corbell has been a professional photographer for over 30 years. He has photographed three U.S. presidents, 185 world leaders, sports celebrities, hundreds of brides and grooms, and an occasional astronaut, and has lectured in more than 20 countries. 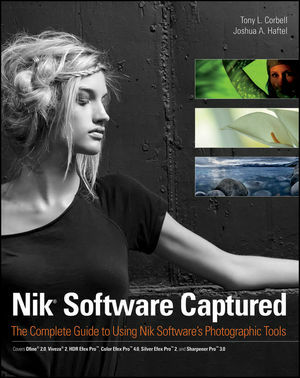 Tony created the award-winning Nik Software educational department and teaches workflow and photographic techniques. Joshua A. Haftel has been hooked on photography since he was yearbook photographer in high school. With a degree from the Rochester Institute of Photography, he has traveled the world photographing famous sites. When he's not taking pictures, Josh manages the entire product line of photographic tools for Nik Software.